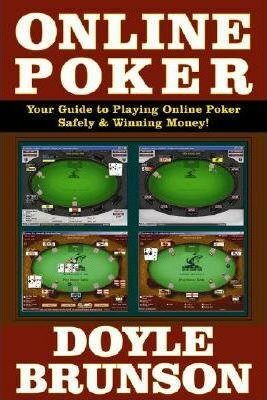 The Online Poker Effect: why exactly is the game so popular? Video poker was introduced in the late 70s to provide a new form of gambling opportunity for the poker players. This game was designed to cater those players who want to play a game that involves skill; has comparatively lower house edge and capacity to provide big wins. This not only provided the desired anonymity to the player but also increased the number of games which can be played in a measured period of time. Video poker might not be a different type of poker game but its still a popular choice for players. In contrast to the slot games, video poker provides its players with a chance to make certain choices which can have an impact on the outcome of the game. This means that players are provided with a control over the hands they like to or desist to play. There are many variants of video poker currently available in land based as well as online poker/casino sites. Some of the most popular variants include the following. These are three different variants of video poker but follow somewhat same set of principles for their functioning. Some of the basic principles or rules which guide majority of the video poker variants include the following. In all these variants standard poker hands are used to determine the win. Five starting cards are dealt to the player. A player can keep or discard any or all of the dealt cards. All discarded cards are replaced with a random draw. If the remaining hand of the player matches any of the qualifying hands, a corresponding winning amount is provided to the player. Once you have opted for a variant of game you can straight away start playing. The game play starts with the player being dealt with five cards randomly as provided by the gaming software. You can opt to keep or discard some or all of these cards by tapping buttons provided on the screen. After discarding the unwanted cards you can hit the “Draw” button which will provide the replacements for the discarded cards. Once the final cards are dealt then you can claim a win if they are in the sequence of traditional poker hands such as flush, two pair, straight and so on. The size of wins depends on the pay table and the amount of bet opted by the player. Each of the video poker variant comes with its own pay-table and sets of rules. For example the strategy of the Deuces Wild will be totally different from Jacks or Better. Even the same variant on different machines can have different pay-tables and playing strategies, so it depends upon a player what type of game he or she wants to play. Learning all of these variants can be quite tiresome, so it is recommended that you should start with the game which suits your taste and gaming style. There are many online sites which provide free video poker games. You can play these games to hone your skills and once you are quite sure of your gaming potential only then opt to play with the real money.